Home Screenshot from the Award Winning Best Bankruptcy Experts Company Patrick D. West Law Firms P.C. Go to Patrick D. West Law Firms P.C. 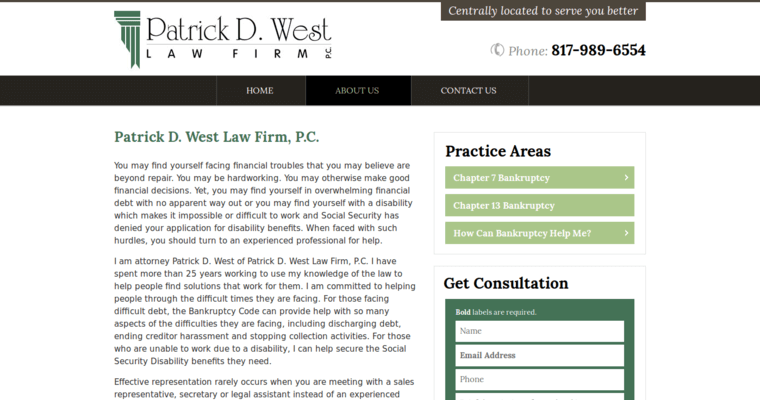 About Screenshot from the Award Winning Best Bankruptcy Experts Firm Patrick D. West Law Firms P.C. 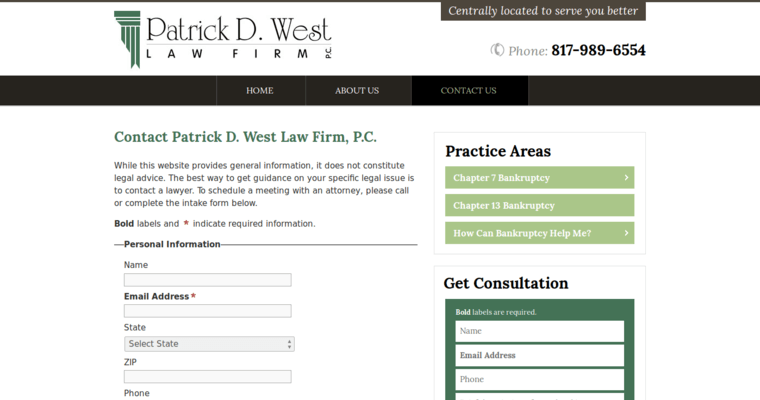 Contact Screenshot from the Award Winning Top Bankruptcy Experts Firm Patrick D. West Law Firms P.C. Patrick D. West Law Firms P.C. If you are facing overwhelming debt, foreclosure, or bankruptcy, Patrick D. West Law Firm can help you find the resolutions you need. Patrick D. West has spent more than 25 years using knowledge of the law to help people find working solutions for their financial situations. Having such an experienced attorney available allows for effective representation in times of serious need. Practice areas include Chapter 7 and Chapter 13 bankruptcy. The law firm can also help secure the social security benefits needed for those who are unable to work due to disability. 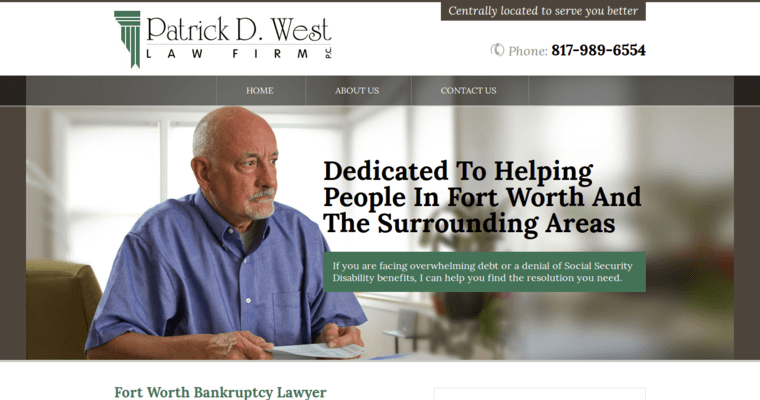 Patrick D. West law firm is centrally located to serve people better. Learn More about Patrick D. West Law Firms P.C.